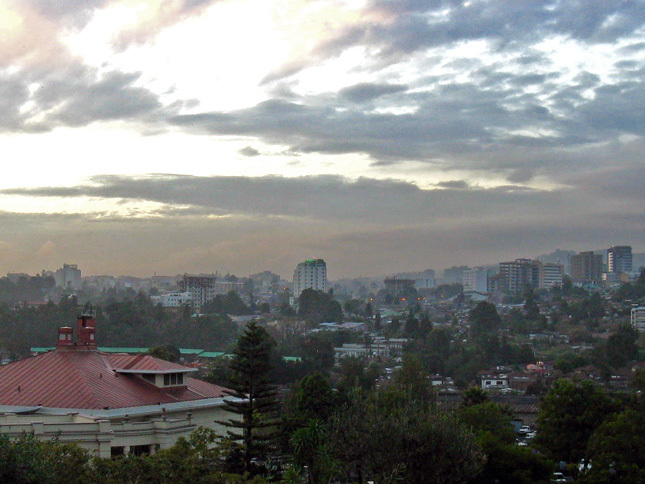 Hello from Addis Ababa, where I am blogging from the 5th annual general assembly of the Population, Health, and Environment (PHE) Consortium of Ethiopia (see further coverage here). Along with the Philippines, Ethiopia is the largest PHE programmer in the world, both in terms of number of programs and people affected, and for good reason: The country combines dire need, willing donors, and a great deal of local capacity and will. Ethiopia is currently home to 85 million people – second only to Nigeria as the most populated country in Africa – and the average woman has 5.4 children, according to the Population Reference Bureau. Ethiopia is also extremely rural, with only 16 percent of the population living in cities, which, combined with its rugged terrain, poses challenges for delivering health services and improving land management. 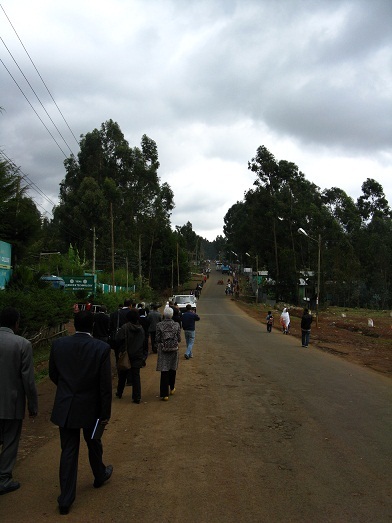 The PHE Ethiopia Consortium is a coordinating body made up of 48 organizations that implement integrated PHE development programs at more than 30 sites across the country. At the general assembly, more than 80 members from around the country reported on their efforts to improve livelihoods and communicate the effectiveness of integrated development. “Evidence supported by research is one of our main organization goals,” said Teklu. The consortium’s role, he said, is to help member organizations better coordinate with each other and strengthen the kind of relationships that integrated PHE development requires, both with each other and with donors. He also said the community needs to better connect the work that NGOs do with government objectives and programs. Haddis Mulugeta of the Institute of International Education in Addis pointed out that integrated PHE advocates should beware of spending too much effort criticizing the broad sectoral structure of government at the national level, as it’s essentially an inevitability. Instead, members should concentrate on building community support and encouraging better communication between government ministries on these issues at the local level. “Integration must start at the community level; they are the true integrators,” said Ricky Hernandez, a representative from PATH Foundation Philippines now working in East Africa. The engagement of community members determines not only the impact of the project on health, environment, and livelihood indicators, but also, most critically, its sustainability. Jason Bremner of the Population Reference Bureau, speaking on the state of PHE across Africa and globally, showed a data chart created using Hans Rosling’s Gapminder tool that tracks the progress of poverty and life expectancy indicators over the last 50 years. He pointed out that the “world is a better place today in many ways.” But, he said, the PHE community must get better at communicating its successes. “Even by the best case scenario we will be 8 billion by 2050…and if nothing changes…we could be as large as 12 billion,” he said. “Our target is improved livelihoods,” said Teklu, and to harmonize the relationship between people and the environment. Stay tuned over the next few days for more on the challenges facing the PHE community here in Ethiopia, a look at some local PHE sites, and the community’s plans for the future. See all of New Security Beat’s coverage of the 5th annual general assembly of the PHE Ethiopia Consortium. Sources: Population Reference Bureau, UN Population Division.